When Stallings was drafted I never thought he would play in a major league game. He has made himself into a reliable and respected organizational man. Maybe he will plate a few today? I decided to listen to the Pirates and watch the Steelers today. I should have gone the other way. Ben, you are committing the unpardonable sin on OBN. Watching the Stillers instead of the Pirates! Back-to-back solo shots in the bottom of the 9th. Vazquez just toying with Brew Crew. I was multi-tasking. I had the Pirates on the computer (MLB.TV) and the Steelers on TV. It's looking like the Pirates may wind up with the better winning %. Raise It! Williams does his thing and in my opinion deserves at least a ton of votes for the NL Cy Young especially if he gets another win or two in the last couple weeks. Guy has been dominant since the AS break and also a decent starter before. WhooHoo for Kevin Kramer. Guy can hit a bit. Drives in the insurance run which ends up being the winner after Felipe gets my heart thumping really hard. It is games like this that makes me such a big baseball fan and the Pirates in particular. This big win today and the series win seems to have given me great satisfaction in this Pirates team. Yes they won't make the play-offs or maybe not even have a winning record. But the way they seem to have gotten growth out of the starting staff, and some of the kids and even vets recently will keep me coming back to them again and again even though they have the WMTIB (Worst Management Team In Baseball). Maybe I'm just too darn old to change my baseball rooting habits. I think Vasquez is running on fumes at this point. Brewers have played the Pirates 16 times this year ... and won 5. Would be a game over .500 if a home game vs. the Marlins with Williams on the mound had not been rained out. Speaking of Williams ... WOW ... 6 more scoreless. Nova and Williams were SUPERB back to back. Possum, you committed a Kevin infraction (KI). Newman drove in the insurance run. I stand corrected on which Kevin (darn NH for drafting 2 Kevins). But I loved the results no matter which Kevin did it! Go Kevins Go in 2019! Darn NH for not allowing one of them Kevin's for being the PTBNL in a deal so you can keep track of them better. Now we can go off topic and discuss which Kevin should have been the PTBNL! Kramer and Newman is a good name combo, but I think the ChiSox have us beat. Too bad we didn't get Watson and Crick. 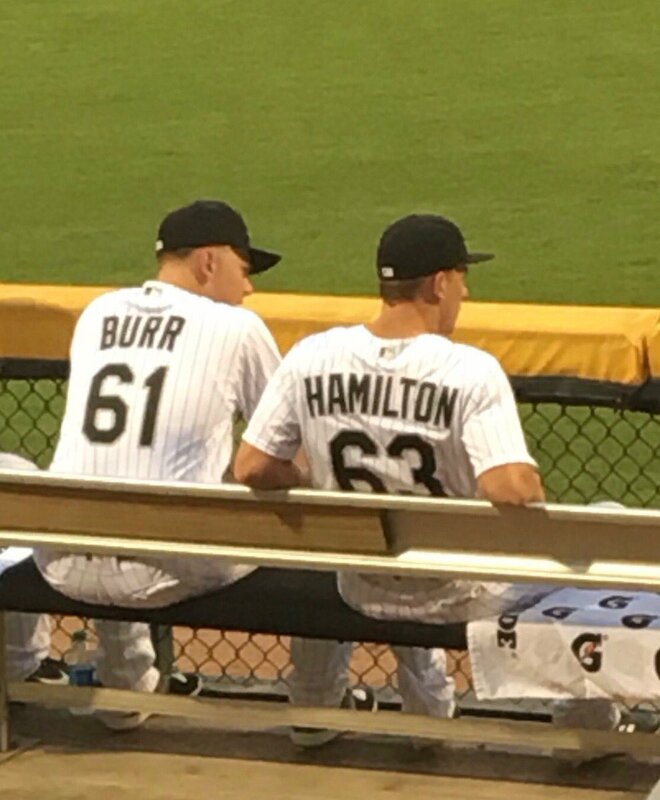 Just to be safe, I would separate Burr and Hamilton. They could give new meaning to "pitchers' duel."